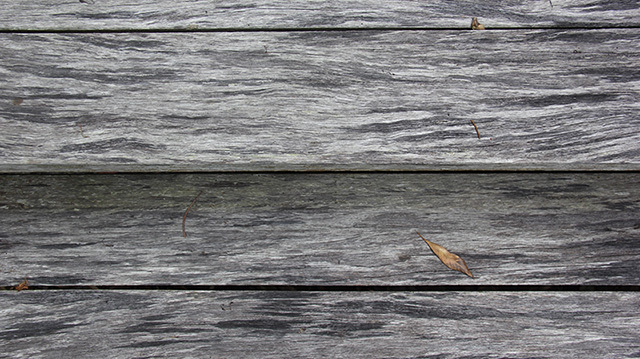 Full Circle is available to do timber and deck maintenance for your Byron Bay property. With many years experience within our team working with timber decks and timber homes, we have found there are consistently big advantages to choosing a quality timber oil, to a water based layer coating. With the increased integration of raised nail heads (for the look) and screw fastenings (for ease of building) in timber decks these days, not to mention the often hard to reach places we love to design timber facades for our houses, the first reason we love timber oil over a layer coating is that it really never has to be sanded or stripped - especially if maintenance is left for too long. In order to strip a deck with raised nail heads for example, either every single nail needs to be counter sunk below the surface for sanding, or if this is not an option (often the case with hardwood decks especially with screw fastenings), the only option left is to use chemical stripper and a pressure cleaner. Paint stripping is certainly a service Full Circle is able to offer, but comparatively to being able to give an oiled deck a quick pressure clean before coating, paint stripping is messy, damaging to the nearby paint and grain of the timber and often time consuming and expensive. If you’re considering your timber maintenance options in Byron Bay, another reason that may lead you to choose a quality penetrating timber oil (such as Cutek for example) are the oil’s stabilizing qualities. Because an oil can penetrate into the grain for several millimeters, warping and twisting can often be reduced and protection from moisture and mould can be mitigated. In contrast a traditional water based or even oil based layer coating, will sit on the top of the timber and often cause entrapment of moisture underneath ​the coating, causing eventual rotting and of course un-repairable peeling of the coating.